European designers and builders do a great job of producing smaller boats that look like scaled-down grand prix racers—minimal overhangs, chines, wedge-shaped hulls, twin rudders, square-headed mainsails—but attempts to introduce such boats to the U.S. market have usually failed dismally. A different aesthetic preference prevails on this side of the pond. Saffier Yachts, a well-established brand from the Netherlands, hopes to succeed where others have fallen by the dockside. The yard produces two lines of boats—both daysailers and pocket cruisers—that blend classic good looks with modern design features and high-quality construction techniques. Already several boats have been shipped to customers here in the States, and the yard expects to have a dealer network setup state-side by the end of the summer. The three boats in the Elegance range are open daysailers with small cuddy cabins providing somewhere to lie down, answer the call of nature or stash a picnic basket. Designed by yard co-owner Dean Hennevanger, they are configured for singlehanded sailing and by all accounts have a respectable turn of speed—the biggest of the three, the Se33, has been clocked at 17 knots. Saffier’s Classic range also comprises three boats—an open-cockpit 21-footer, and 26ft and 32ft cruisers, each with sleeping accommodations. All three have shoal-draft bulb keels and can easily be trailered. There’s more to Golden, Colorado, than the Coors brewery. It’s also the home of Sage Marine, builders of the sweet little Jerry Montgomery-designed Sage 17 that’s featured in these pages from time to time. 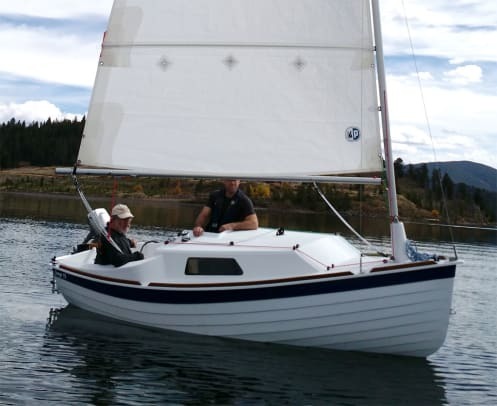 The small builder’s latest boat is the Sage 15, which shares the lapstrake hull and seakindly lines of the 17 but has a choice of two rig options. In Sagecat 15 guise it has a free-standing mast stepped at the bow, as the Sage 15 it has a conventional sloop rig. Either way, it’s a pretty little trailer-sailer that will bring owners plenty of joy. Speaking of pretty little trailer-sailers, small-boat sailors will instantly recognize the Drascombe name. 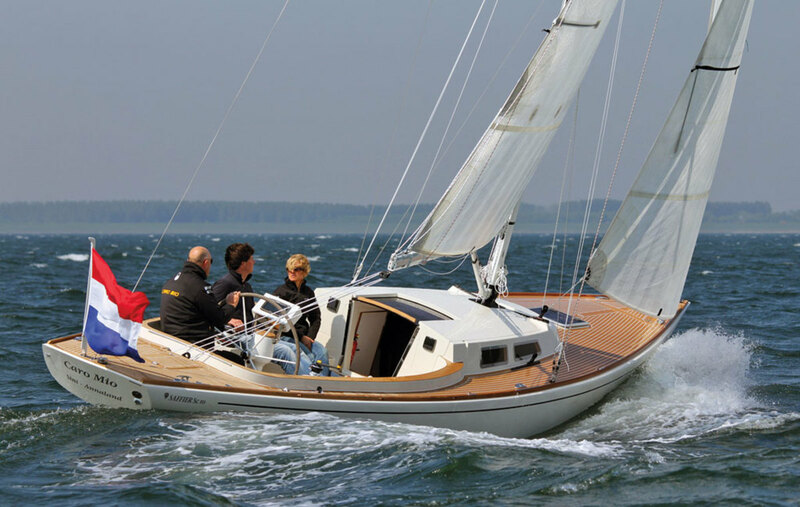 The British builder turns 50 next year and has thousands of open boats to its name. The 18ft Drascombe Lugger is far from a new model, having been introduced in 1968, but the brand has been absent from the U.S. market for some years, so it’s worth noting that Drascombe will display one of its Luggers at the Strictly Sail show in Chicago next January. Renowned sailor-writer Webb Chiles sailed around the world in a Lugger back in the 1980s, which gives you an idea why these boats have endured so well over half a century of continuous production. Fareast Yachts have made quite an impact in just a few years with their Fareast 28, a one-design sportboat that delivers blistering performance at a reasonable price point. They’ve followed up with the Fareast 23R, another up-to-the-minute Simonis/Voogd design aimed at the J/70 crowd. The 23R will get on the plane and deliver a thrilling ride downwind, yet can also be sailed conservatively as a family daysailer.